We’d love your help. 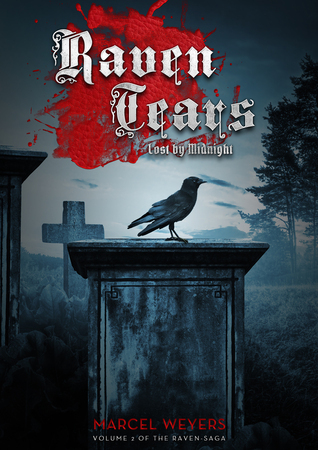 Let us know what’s wrong with this preview of Raven Tears – Lost by Midnight by Marcel Weyers. To ask other readers questions about Raven Tears – Lost by Midnight, please sign up. Marcel Weyers was born on October 16, 1991 in Limburg an der Lahn (Germany). He started to write down short stories and dreams early, and that way he discovered his passion for writing. He studied English and German literature. In 2011, Marcel Weyers published his German novel series; “The Shadow-Trilogy.” “Schatten” (Shadows) is a children and teens book and takes place in Japan. The sequels “Scha Marcel Weyers was born on October 16, 1991 in Limburg an der Lahn (Germany). He started to write down short stories and dreams early, and that way he discovered his passion for writing. He studied English and German literature. In 2011, Marcel Weyers published his German novel series; “The Shadow-Trilogy.” “Schatten” (Shadows) is a children and teens book and takes place in Japan. The sequels “Schattenjäger” (Shadow Chasers) and “Schattenland” (Shadow Land) were released later in 2011.